Nineteenth-century Britain did not invent chronic illness, but its social climate allowed hundreds of men and women, from intellectuals to factory workers, to assume the identity of "invalid." Whether they suffered from a temporary condition or an incurable disease, many wrote about their experiences, leaving behind an astonishingly rich and varied record of disability in Victorian Britain. 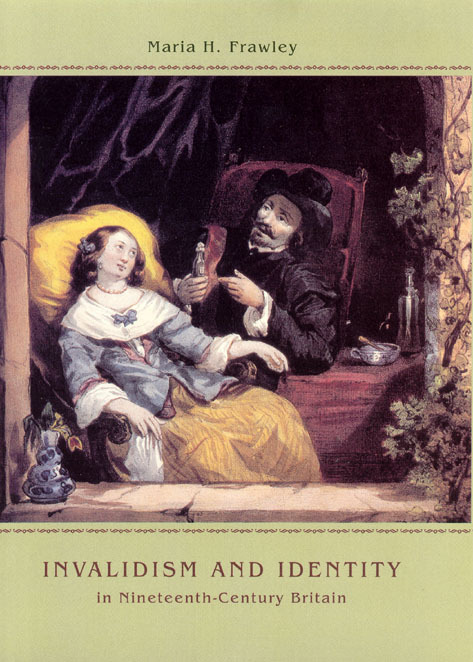 Using an array of primary sources, Maria Frawley here constructs a cultural history of invalidism. She describes the ways that Evangelicalism, industrialization, and changing patterns of doctor/patient relationships all converged to allow a culture of invalidism to flourish, and explores what it meant for a person to be designated—or to deem oneself—an invalid. Highlighting how different types of invalids developed distinct rhetorical strategies, her absorbing account reveals that, contrary to popular belief, many of the period’s most prominent and prolific invalids were men, while many women found invalidism an unexpected opportunity for authority. In uncovering the wide range of cultural and social responses to notions of incapacity, Frawley sheds light on our own historical moment, similarly fraught with equally complicated attitudes toward mental and physical disorder.